The disciplines of Lent offer an annual chance for spiritual housekeeping, a time to reflect on our faith in every aspect of our lives. 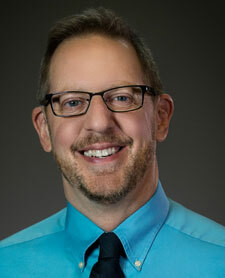 Lent is also a 40-day journey that, like any journey, benefits from having a well-planned itinerary. Lent’s destination is Easter, when we renew our baptismal promises to be the light of Christ in the world. The penitential practices of prayer, fasting, and almsgiving cleanse us and prepare us to recommit to the covenant we made at our Baptism. Lent is both penitential and baptismal. Many people begin Lent with some idea of how to expand their prayer life, what they will give up, and a charitable activity they will contribute to. Try a new prayer practice, such as the Examen or the Rosary. Pray at a regular time—alone or together as a family—to provide consistency and discipline. (Subscribing to a daily e-mail can keep you on track.) Abstaining from meat on Fridays requires planning meals ahead. Choosing a charitable organization or cause can help structure your almsgiving. Let your home reflect Lenten priorities. Do your spring cleaning early, and eliminate household clutter before Lent begins on Ash Wednesday. Remove extra home decorations to give your home a plain and simple look. Set up a prayer space or centerpiece on your mealtime table that reflects the austereness of the season. 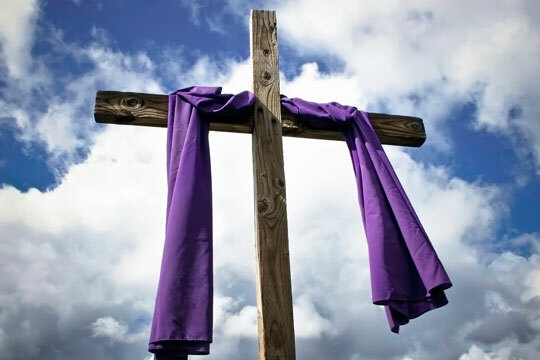 Start with a purple cloth and a cross, and add a few stones or rocks as a reminder of Jesus’ time in the wilderness. 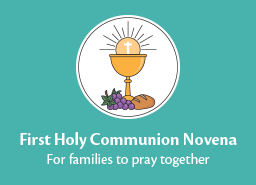 Include items needed for prayer, such as books for spiritual reading, a Bible, and a rosary. Mark the days when you will fast and abstain from meat on a calendar, and place it in a prominent place. If you are contributing to a charity, place a container for collecting the funds in the prayer space. Nourish yourself and your family. Unlike Jesus in the desert, we don’t have to wait until the end of our 40-day journey to be nourished. Go to Mass as often as possible; the grace of the Eucharist will help you keep your Lenten promises. Take advantage of the Sacrament of Reconciliation, and allow the grace of forgiveness to permeate your journey. If you find you haven’t kept up with your Lenten practices, ask forgiveness, forgive yourself, and recommit to begin again. Journeys are more enjoyable when we share them with others. Lent is a communal journey we can share with our spouses, children, and others in our parish. 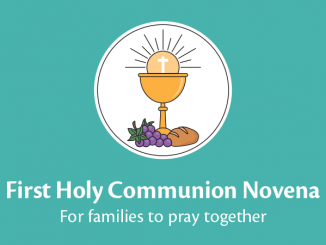 The support we receive and give to others by celebrating Mass, praying the Stations of the Cross, enjoying a Lenten fish fry on a Friday, and working together to help those in need reflects our membership in the Body of Christ. When we gather around the baptismal water at Easter, we will not only recommit to God, but to one another as part of his family. How do you observe Lent at home? 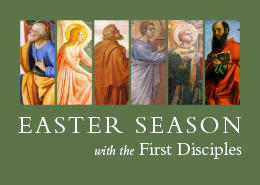 The With My Family section at the end of Finding God: Our Response to God’s Gifts sessions has ideas for celebrating the liturgical seasons at home, including Lent. For more Lent ideas, visit LoyolaPress.com/Lent.